If you want a seriously cool looking limousine, then the C300 Baby Bentley is just up your street. The C300 Baby Bentley has to be one of the best looking limousines available and we are fortunate enough to have several for you to choose from. If you want to arrive at the party in a style, then the C300 the limousine is definitely for you. 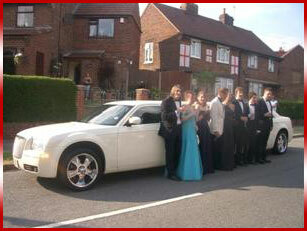 Whether you are looking for limousine hire for a school prom, graduation ceremony, stag party or hen night, the Baby Bentley will make you fell like a celebrity and will turn heads wherever it goes. 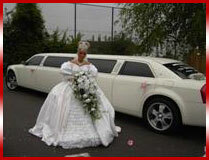 Perhaps you are considering which wedding car to use? The white C300 makes a fantastic wedding day vehicle and can be used in conjunction with other Bentleys in our prestige car range, such as the Bentley Continental, Bentley Spur or Bentley GT to make your wedding vehicles match. The C300 Baby Bentley is packed full of the usual gadgets that you would expect from our limousines. 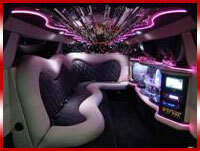 We have tinted windows, CD music system, flat screen TVs and mini-bar with champagne flutes and ice tumblers. 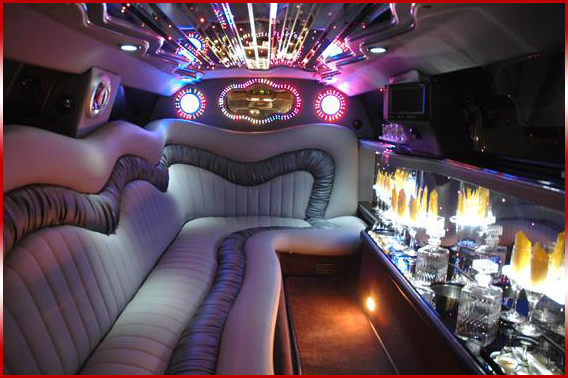 The leather seating is immensely luxurious and the neon and laser lights really add to the ambience of the limo. The ride comfort is sublime and few limousines can match the prestige of a Baby Bentley limo. 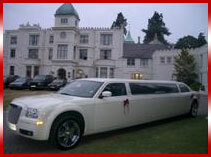 Why should you choose Midlands Limo Hire? Well we provide the highest level of customer service possible. 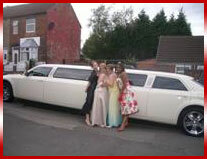 When you choose Midlands Limo Hire, we will provide you with a limousine experience like no other. 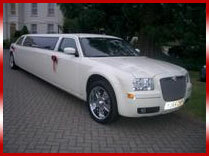 The limousine will arrive on time and in immaculate condition. The uniformed chauffeur will treat you like a star and will care for your every need. We are more than happy to cater for any of your special requirements, so if you want balloons, chocolates, birthday cakes or any special beverages, simply mention them when you make your booking and we will arrange it for you. We will leave no stone unturned to make sure that you have a wonderful time. If you have any questions about the white C300 Baby Bentley then please give us a call on 08452340659 and we will be happy to discuss your requirements and to give you a free no obligation quote. Don't forget that when you choose Midland Limo Hire, we provide the limousine with unlimited soft drinks or 6 bottles of complimentary bubbly! 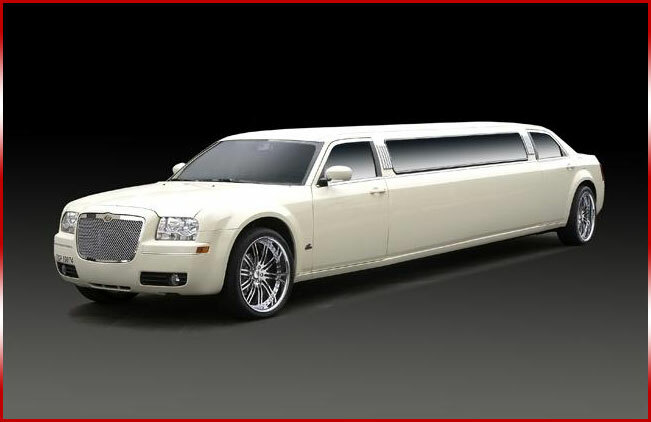 All Our fleet of Exotic limousines are the envy of the others. Available in a choice of black or pure white and pure silver met, they are all loaded to the roof with luxuries & features: Limousine hire Leicester. They call it the Baby Bentley limousine! very popular limosuine for weddings and many other events.